checkup | Live Healthy S.C. In an average day you work at least eight hours in the office, help with homework, get the kids to practice, cook dinner, and check on your parents. This is all before you think about the things on your to do list. People wonder how you hide your cape under your clothing or where you park your invisible jet. However, even your super powers need to be checked and recharged regularly. Visit a doctor or nurse for a well-woman visit (checkup) and preventive screenings. Pay attention to their mental health, including getting enough sleep and managing stress. Avoid unhealthy behaviors, such as smoking, texting while driving, and not wearing a seat belt or bicycle helmet. Get started today. Take the “What’s your health score?” quiz. Whether you are in your 20s or 90s, it is important for you (and to ones who love you) that you take the time to care for yourself. Simple steps today will be a foundation for a lifetime. This entry was posted in Prevention, Public Health and tagged checkup, habits, mental health, mom, Mother's Day, National Women's Health Week, preventive, screenings, stress, well-woman visit, women on May 11, 2018 by SC DHEC. 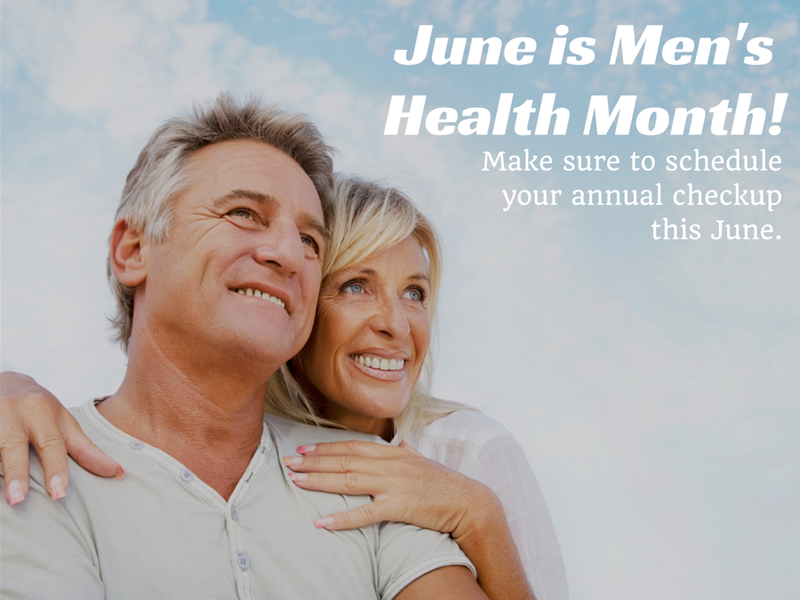 June is Men’s Health Month, with efforts made to heighten the awareness of preventable health problems and encourage early detection and treatment of disease among men and boys. Men’s Health Network and health care providers across the state encourage men to take time to detect and protect. There are numerous illnesses that affect men specifically, and it’s important to either guard against them or receive the treatment necessary. The Men’s Health Network provides a free resource that establishes a guide for healthy men and boys. Blueprint for Men’s Health covers topics ranging from consultation with your health provider, diet and nutrition, exercise and overall wellness, sexual health, prostate health, testicular cancer, emotional well-being, and problems associated with the heart. The booklet even addresses some of the special health concerns for African-Americans, Latinos and other minorities. Guys, the main message is this: talk with your health care provider and make time now to get the age-appropriate tests you need. As it is with most illness, your chances of controlling or curing any health problem could hinge upon early detection. Get on the right path toward wellness. Information is key to helping yourself. This entry was posted in Chronic Disease, Community Health and tagged checkup, men's health, screening on June 3, 2015 by SC DHEC.